What happens when two of the fashion & design industry's most vibrant characters go to the Italian coast? An Instagram feed of epic photos emerges. Traveling with their significant others (Mr. Turk & Simon Doonan, respectively), the fierce foursome gave us plenty to add to both our bucket list and our ultimate closet wish list. What, you ask, did they do? Everything a good little vacationer should do. 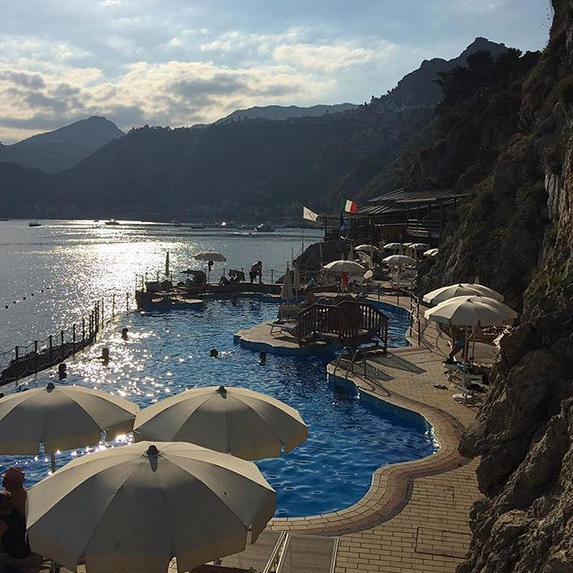 They enjoyed colorful cocktails, wore gorgeous tunics (or cool shorts, for the boys), dipped their toes in stunning pools, enjoyed the view of the Italian coast from a boat and dove head first into the sea. 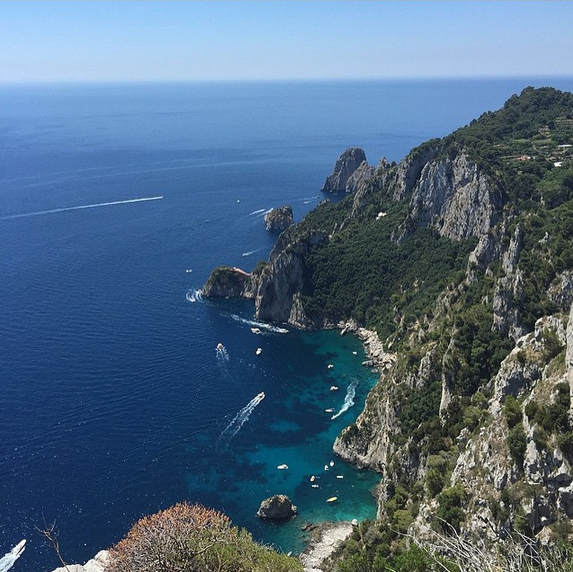 The photos of Capri, Sicily and Naples are enough to have me strategically plotting my tunic and fedora purchases. Happiness and a big smile are a clearly girl's best accessories. Tunics & kaftans are a must-have summer vacation staple for every female. Never underestimate the power of a stylish and confident man. He makes life more exciting. Get out on a boat. The view (and the breeze) is far better from the water. Take in the local scene and indulge in the experiences your vacation destination offers. 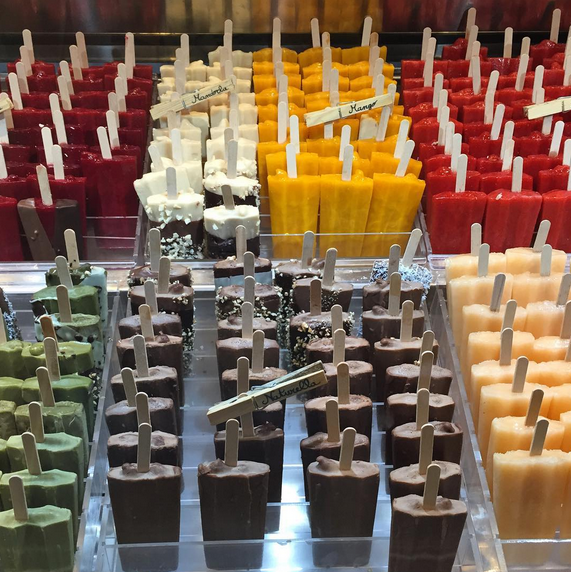 Italians can make even common popsicles seem incredibly chic. Book the ticket. Take the trip. It will ALWAYS be worth it. Where did they stay? Naples, Capri and Sicily were among the photographed locatons. 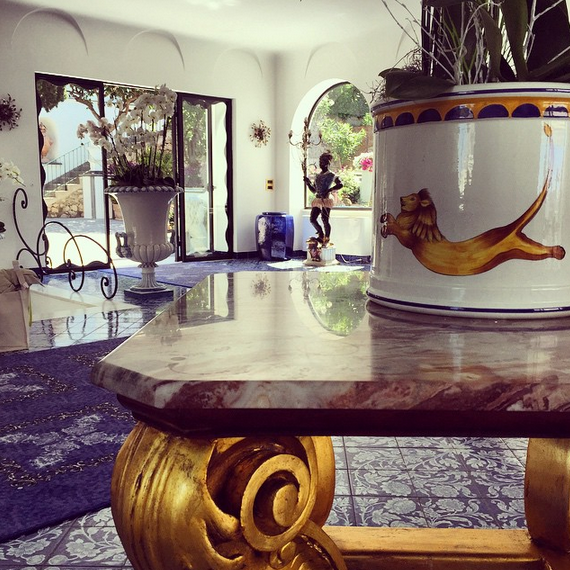 In Capri they enjoyed the beauty of La Scalinatella and I'll dive deeper into that property in another post. For now, let's focus on loading your closet up with tunics & other Turk-worthy looks. See more of Trina & Jonathan's pix here. Don't be envious. be inspired. Go make your own memories and build a life worth smiling about! Now... go book those summer trips!